House Speaker Nancy Pelosi and Vice President Pence appear together before President Trump's State of the Union address on Feb. 5. The vice president rarely used the space, but it was a symbolic gesture of the warm relationship Pence enjoyed with Ryan and the House GOP. The vice president serves as the president of the U.S. Senate and historically has been provided an office on the Senate side of the Capitol, which is where Pence more regularly holds court when he visits Congress. 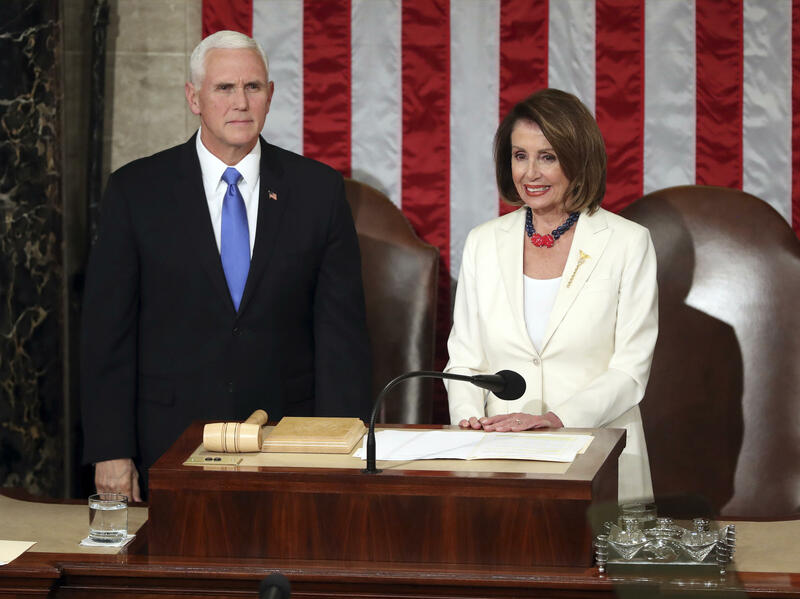 Former House Speaker Paul Ryan gave Vice President Pence office space on the first floor of the Capitol in 2017, but House Speaker Nancy Pelosi reassigned the space. Pence's nameplate was removed from above the door recently. 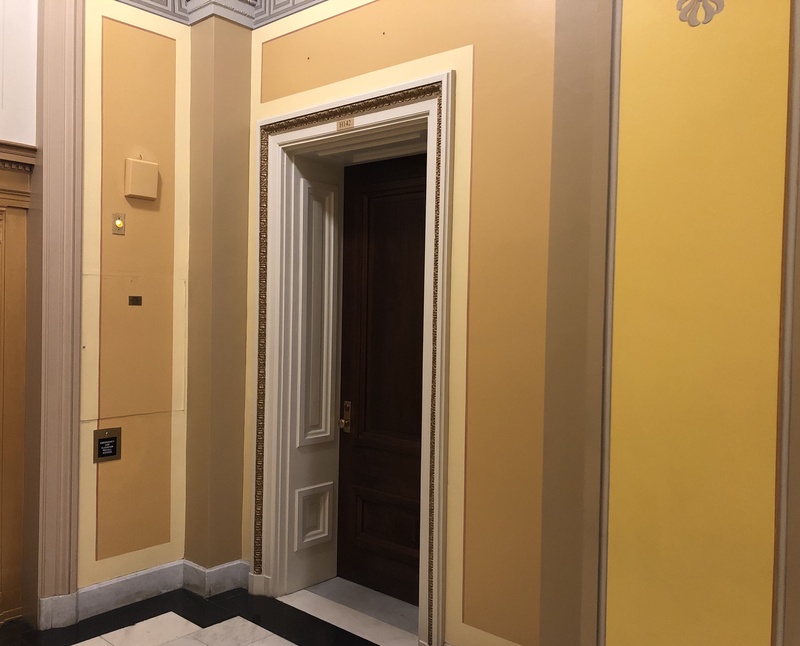 A placard above the door identifying it as Pence's House office was quietly removed in recent weeks. A House Democratic aide confirmed to NPR that the space will be reassigned. "Room assignments are reviewed and changed at the beginning of every Congress," the aide said. The speaker has sole authority to dole out office space in the Capitol, which is prized real estate for members of leadership and senior staff. While Pelosi revoked Pence's office privileges, the aide said she is providing new office space for the White House legislative affairs team that it did not previously enjoy under the GOP majority. A spokeswoman for Pence has not responded to NPR's request for comment.